Currently, the tech world has been set abuzz with three new gadgets that seem to be making global headlines and have caught our attention too. Here’s what you need to look forward to these latest technologies from Lenovo, Microsoft, and Apple. The world’s first dual-screen laptop is the latest upgrade from the Yoga series. Lenovo’s flip out pad aims at getting students hooked to its new features. Apart from the main 2K LCD display, the other ‘E– ink’ screen – turns into a multi-language keyboard, a digital sketchbook or into an electronic scribble pad and a reader. End users, especially into designing, can enjoy the versatile laptop supported by an Intel 8th generation core processor and Windows 10 OS along with a new stylus – the ‘Garaged Pen’ which will recharge whilst slotted into the C930. This ultra thin and ultra light convertible laptop goes on sale in mid-September. Size: 13.9-inch touch screen and 11.9mm in thickness. Weight: 1.3 kilograms. This is a handy media device powerful enough to unleash creativity with inbuilt design apps. Perfect if you don’t want a big transition from a tablet to a laptop. 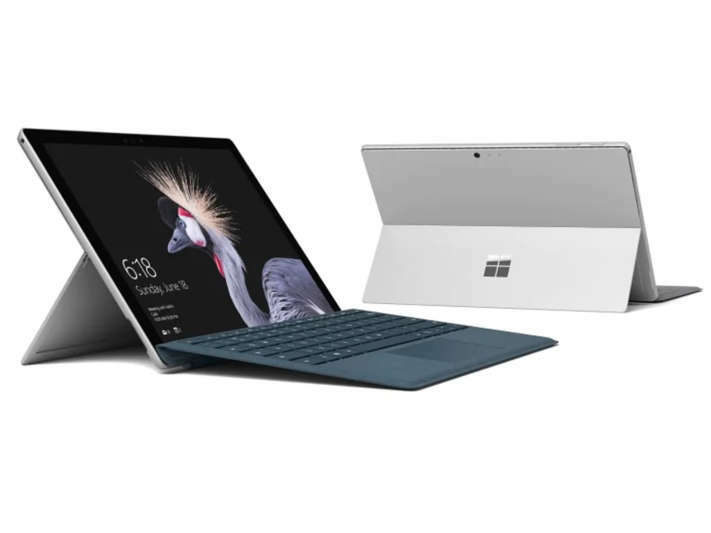 Blurring the lines between a tablet and laptop, the Surface Pro screen is sold separately which features a magnetic strip on its perimeter that attaches other Surface accessories like the keyboard and pen. Altogether, the feathery laptop weighs just under a kilo. The sleek make is visually appealing in a shiny platinum, cobalt blue and burgundy colour. A tiny stand props up the screen which has a highly responsive touch interface with face authentication. The laptop is powered by Intel Core 7th– generation m3, i5 or i7 available up to 16 GB Ram. Size: 12.3 inches screen. Weight: 780 grams. The name justifies the use – you need a surface to get the best of your Surface Pro: Microsoft seems to do away with the literal functionality of placing this laptop on your lap and prioritises the tablet mode. In addition to the watch series, the largest company in the world is all set to unveil the iPhone XS according to Apple’s official announcement made yesterday. The new phone will launch in September and is said to be a step up from the iPhone X in terms of specifications but a step down in affordability. The phone comes in two sizes and reportedly features the same glass back design with stainless steel frames seen on the X. Both the XS models will vary slightly with aluminum edges instead of a steel casing previously sported by the X. Again an easy fit in the hands, the XS is sure to enliven the user experience which may come in unconventional colour options. XS: 5.8-inch and 6.5-inch OLED display. Analysts speculate that Apple could remove the 3D touch in XS.